Potatoes or cabbage might spring to mind and while flavoured rapeseed oil and almond butter does not exactly roll of the tongue when considering typical Irish fare, these were a few of the products on offer at the Taste of Summer food festival in Belfast. I always wanted to travel and see the world and after five-years of continuous employment in Autumn 2009, (anyone with 20 years plus service will surely recoil in horror at such a statement) I decided it was time for a short sabbatical from the world of work. I set off on a five-month back packing adventure with a like minded friend to explore South America and the United States. We spent three-months in Cusco, the old Inca capital of Peru, nestled high in the Andes Mountains volunteering at an orphanage. 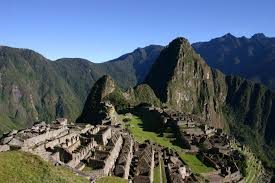 This was the perfect base to explore an area steeped in history and the highlight was overcoming my fear of heights to complete the four-day trek to the lost Inca city of Machu Picchu.Our self-catering digs above the orphanage where basic. We had a two ring gas hob, a kettle, one saucepan and a few plastic plates, cups and cutlery. This was primitive living but a humbling experience which made me appreciate home comforts and appliances we take for granted like the oven and fridge.